Eating experiences around the world – breakfast, brunch, lunch & dinner. 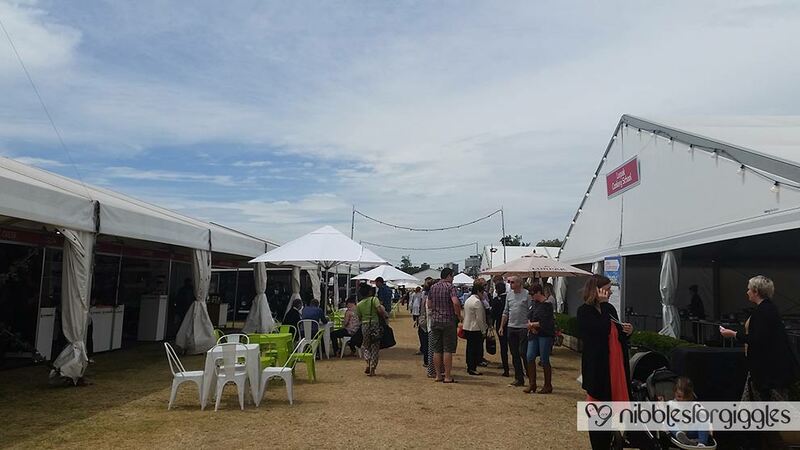 We went to the Melbourne Taste Festival and had the pleasure of trying amazing bits and nibbles from some of the most well known food joints in Melbourne! 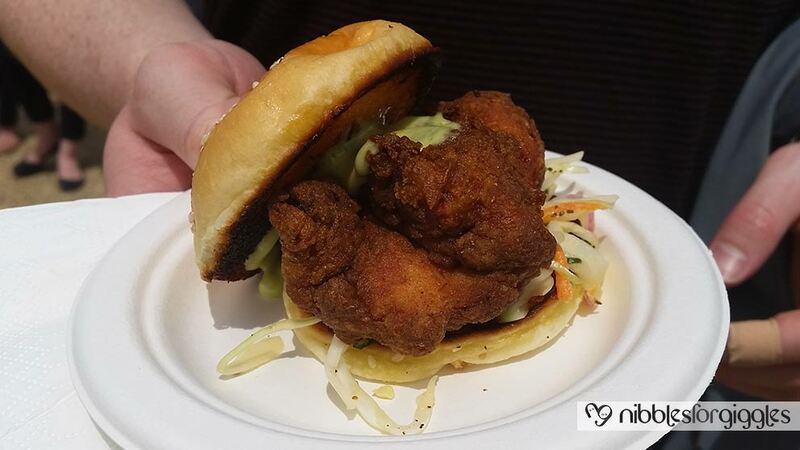 The oh so good southern fried chicken with a great slaw, you can never go wrong with a combination like that! The chicken was nice and juicy with a great crispy skin and there was a really good jalapeno mayo providing the burger with just the right amount of chilli kick. Based on this taster, we will definitely be looking to try its bigger sister, Clair, in a Huxtaburger joint sometime soon! 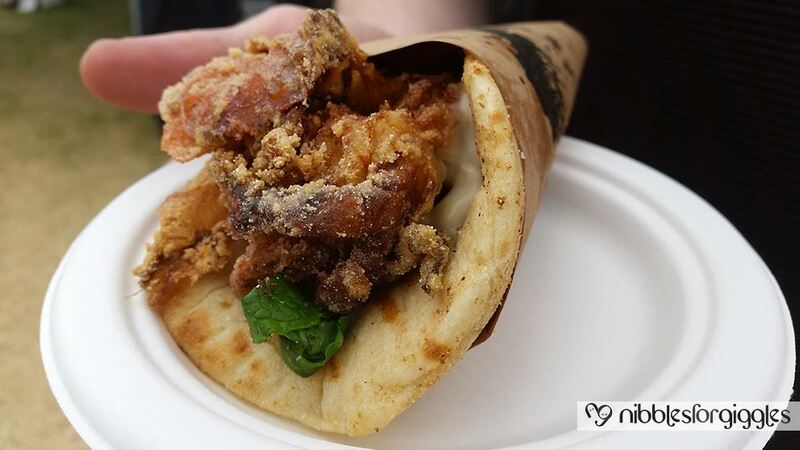 One of George Calombaris’ eateries was at Taste, and it is a place we have visited in the past and we will be going again very shortly based on this reminder… The soft shell crab souvlaki was incredible, it is definitely a must try! The soft shell crab was cooked just right and the souvlaki bread was fluffy and balanced with very moreish sauces of honey and a creamy mayonnaise. A fantastic complement, this was definitely our favourite of the day! The gallery shows some of the different dishes we tasted, both savoury and sweet. Unfortunately, we weren’t able to take photos of all the delicious goodness as our hands were overfilling with them, we had to get rid of them, quick! Goodies from the Taste Festival! So for sh*ts and giggles, we decided to blog about our experiences of bits and nibbles from around the world.